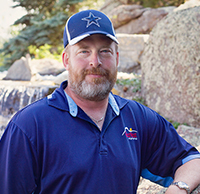 Bill Lloyd is a licensed professional engineer with over 25 years of experience in delivering transportation, bridge, water resource and natural resource projects throughout the Rocky Mountain states. 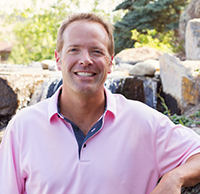 Bill is a native of Helena and graduated from Montana State University with a degree in Civil Engineering. He manages the Transportation and Natural Resource business units for Great West Engineering. Bill enjoys the outdoors and spends free time wakesurfing Montana’s lakes with family and friends, backcountry snowmobiling, skiing, hunting, and camping. He has two adult children presently attending school in Montana. 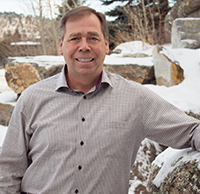 A native Montanan, Dan is a Founder and President Emeritus of Great West Engineering, a Civil Engineering firm based in Helena, Montana. Great West employs over sixty people in its five Montana, Idaho and Washington locations. Dan’s 40 year career has involved design and management for a variety of civil and structural engineering projects including water, wastewater and stormwater systems, street and road networks, bridges, culverts, rest areas, trails and sidewalks, parking lots, solid waste disposal and transfer facilities, as well as forensic analysis and reporting. 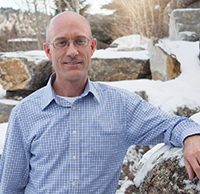 Dan has been instrumental as a planner and grant writer in assisting numerous financially challenged public entities throughout Montana to secure multiple grants and loans to complete much needed infrastructure projects. Dan is a licensed professional engineer in Montana, Idaho, and Wyoming. He served eight years on the Montana Board of Professional Engineers and Land Surveyors, one of those as Board Chair, as well as chairing several standing and ad hoc committees. Dan has also been active in professional societies at local, state, and national levels. Dan was born and raised in Big Timber, graduating from Sweet Grass High School in 1976. He then enrolled in Civil Engineering at Montana State University where he graduated with honors in 1980. Dan also was inducted into the Tau Beta Pi and Chi Epsilon engineering honor societies while at MSU. Dan currently sits on the MSU College of Engineering Advisory Committee and has served in the past on the MSU Civil Engineering Department Advisory Committee. He has also served on the MSU - Helena Chapter Alumni Scholarship Committee. Dan has been a lifelong Bobcat fan, his wife and he having endowed an MSU athletic scholarship for engineering and education student athletes. Dan and his wife of thirty-six years Cheryl (an Education graduate of Eastern Montana College), have two children, Quinn and Katy. The family enjoys outdoor activities, particularly spending time at their cabin in the Tobacco Root Mountains. Dave Aune is a Senior Vice President in charge of technical operations and business development. 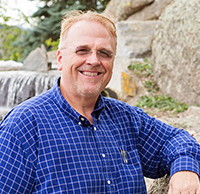 Dave was born and raised in Dutton, Montana and graduated from Montana State University in 1979 in Engineering and is registered professional engineer. His focus has been municipal water and wastewater engineering with an emphasis on treatment and permitting. Dave has served on several professional and regulatory advisory councils and committees throughout his career and is a recipient of the Water Environment Federation’s Bedell Award and other professional service awards. Dave is responsible for the management of companywide technical operations and activities. He also facilitates company business development and marketing activities while still managing water and wastewater projects. 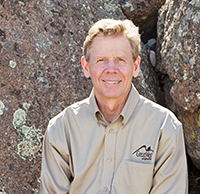 Dave enjoys a broad cross section of outdoor recreational activities, but fly fishing and rafting are his passion. When not on a river, Dave can be found skiing, hiking, biking, scuba diving, hunting, camping, boating and golfing. Bob is a civil engineer with over 29 years of experience on solid waste, wastewater and municipal water projects. Bob grew up in Great Falls, Montana and graduated with a BS in Civil Engineering from Montana State University (Go Cats!). 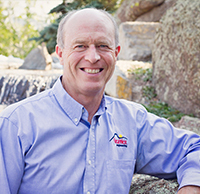 Bob is licensed as a professional engineer in Montana, Idaho and Wyoming. Bob is a Senior Vice President for Great West and is the business unit manager for the Solid Waste group in Helena. Bob truly loves living in Montana taking as many opportunities as possible to fish and float the great rivers and streams of the State. He also enjoys hiking, backpacking and bird hunting. Finally, he enjoys traveling with his wife and daughter and discovering new places. Denice Street is the Corporate Secretary/Treasurer, Human Resources Director and Financial Controller. 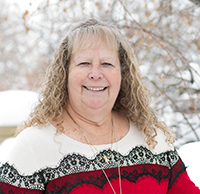 Denice is a Montana native and has two grown children. Her son, JT, is a civil engineer at Malmstrom Air Force Base in Great Falls, MT. Her daughter, Julie, is an Intensive Care Registered Nurse at St. Vincent Hospital in Billings, MT. and Cody, WY. When not enjoying the many outdoor activities that Montana has to offer or Bobcat football game, her favorite place is on a beach with a palm tree nearby. Craig Pozega is a Vice President and Helena Municipal Business Unit Manager for Great West Engineering. Craig has over 24years of municipal engineering experience. A Dillon, Montana native, Craig graduated from the Montana College of Mineral Science and Technology with a Bachelor of Science in Engineering Science. Craig’s career focus has been on assisting communities with water and wastewater infrastructure improvements. Craig has prepared numerous Preliminary Engineering Reports for water and wastewater projects that have ultimately resulted in the design and construction of the proposed improvements. Craig’s responsibilities have included project management, design, construction management, construction inspection, regulatory and permit negotiation, grant writing, grant administration, analysis, reports, land acquisition, and environmental assessments. When not at work, Craig enjoys almost all things outdoors. Chad is a Senior Principal with over 21 years of experience in engineering design and construction administration. Originally from Forsyth Montana, he graduated from Montana State University – Bozeman with a BS in Civil Engineering. 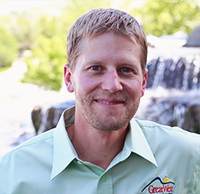 Chad serves as the Business Unit Manager for Great West's Billings Municipal Business Unit. Chad spends most of his free time shuttling his son between sports and other activities and spending time with his family and friends. Chad is also an avid hunter and fisherman and can be found afield with his wife, son, and bird dogs whenever possible. Travis Pyle is a professional engineer with over 20 years of experience. 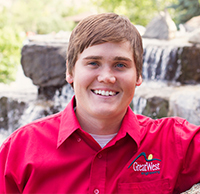 Travis is the office manager for Great West’s Boise regional office. An Idaho native, Travis graduated from the University of Idaho with BS and MS degrees in Civil Engineering. 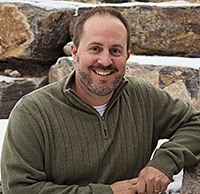 Travis specializes in solid waste planning and engineering and serves as the Idaho Business Unit Manager for Great West’s Solid Waste business unit. When not at work, Travis likes spending time with his two daughters and working out. 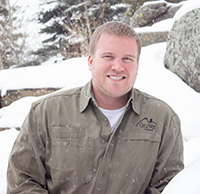 Travis is an outdoor enthusiast and enjoys mountain biking and skiing. Andrew Kimmel is a Professional Engineer with 11 years experience. Having moved from Michigan as a child, he grew up in East Idaho where he attended Idaho State University and graduated with his Bachelors degree in Civil Engineering. Andrew assists communities with every phase of a project from conception through construction, assisting with funding and grant packages for projects. Andrew’s focus is working closely with municipal clients assisting with water, wastewater and other day to day needs that our clients may have. When not at work, Andrew enjoys spending time with his wife and three daughters. As a family they enjoy traveling, camping, and attending sporting events. He has also been known to lend his skills to remodeling projects around the house. 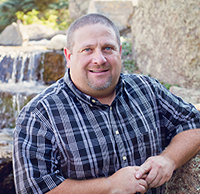 Greg Lukasik is a licensed Professional Engineer in Montana, Colorado and North Dakota with over 22 years experience. A native Montanan, Greg graduated from Montana State University in 1998 with a Civil Engineering degree. Since starting with Great West in 2011, he has been very active in serving the rural communities of central and eastern Montana. He also currently serves as the Director for the Montana Section of the American Water Works Association. When not in the office, he enjoys taking advantage of all the outdoor opportunities Montana has to offer and attending the kids’ athletic and music/dance performances. He and his family enjoy camping trips throughout the western US, winter time skiing, fall elk and deer hunting and springtime gardening. There is rarely a slow moment in the Lukasik household! 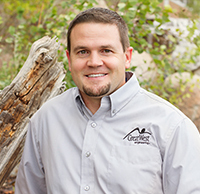 Jeremiah has over 17 years of experience and leads the Natural Resources Business Unit at Great West. He graduated from Montana State University with a degree in Civil Engineering and is a registered PE in Montana, Idaho, Oregon, Washington, and Wyoming. 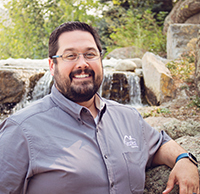 Jeremiah is involved in many different projects from stream rehabilitation, irrigation projects, road construction, bridge/culvert replacements, stormwater collection systems, to securing grant funding for clients. Jeremiah is married and has two children. When not at work he is enjoying everything the Montana outdoors has to offer; just about every weekend of the year you can find him doing something in the outdoors whether it's hunting and fishing, skiing, or maybe racing dirt bikes. Karl Yakawich is a senior project manager with over 17years of experience on transportation and building related projects. He is a graduate of Montana State University with a degree in Civil Engineering and a licensed Professional Engineer in Montana, Idaho, Colorado, and Utah. Karl’s primary focus at Great West is providing engineering expertise with structural systems including bridges and buildings. When not at work, Karl enjoys living life with his wife and three kids in the great Montana outdoors. They routinely venture out in search of adventures through camping trips, backpacking, mountain biking, hunting, and fishing ventures. Amy Deitchler is a Project Manager with the Municipal group. She has over 16 years of experience. Amy is a Butte native and graduated from Montana Tech. The majority of her project experience includes water, wastewater, and stormwater. Amy’s approach to project management is to listen to community needs and deliver the right project for the community. When managing projects she becomes very involved with communities and is regularly praised for her caring and customer focused style. In her free time, Amy likes to spend quality time with her husband and three kids. When not at one of the kid's activities, they can often be found on the lake, at the ski hill, or exploring Montana’s beauty. Collette Anderson is a civil engineer with 14 years of experience. 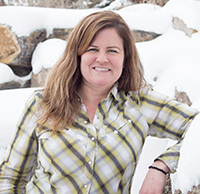 Collette grew up in Missoula and graduated from Montana Tech in Butte with a BS in General Engineering and minors in Math and Professional & Technical Communications. 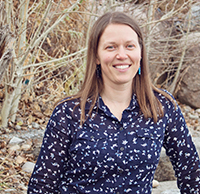 Collette is a project manager for Great West’s Helena municipal group and works on a variety of water and wastewater projects. When not at work, Collette spends most of her time with her husband and their four young children. As a family, they love hiking, camping, and all things sports. Collette enjoys playing volleyball and working with local youth players and teams. Jonathan Weaver is a Professional Engineer with 10 years of experience. A Flathead Valley native, Jonathan graduated from Montana State University with a BS in Civil Engineering. He also received an Associate of Science from Flathead Valley Community College. 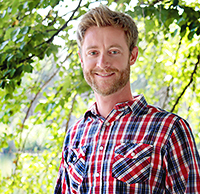 Jonathan serves as a project manager and also a senior designer with a focus on hydraulics and water resources. Perhaps his most significant accomplishment in the water resources field, has been overseeing the bathing, tooth‐brushing, and numerous drinks of water associated with the bedtime routine for his three daughters and one foster son when his wife is away. Jonathan and his family cannot get enough of the outdoors and love to backpack, camp, fly fish, and hunt. 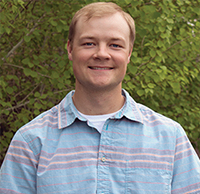 Ryan grew up in northern New Mexico and found his calling in Montana, receiving a bachelor’s degree in Civil Engineering from Montana State University with a focus on Bio-Resources. He’s a civil engineer specializing in bridge design, bridge inspection, roadway design, fish passage and irrigation projects. 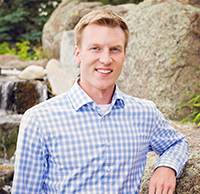 Currently, Ryan typically assists his clients in the roles of project manager and bridge inspection team leader. Outside of work, Ryan is an avid flyfisherman, homebrewer and racquetball player. He and his family enjoy taking road trips and exploring the western United States! Ryan Holm is a Transportation Engineer with over 18 years of experience and has been with Great West Engineering for the past 12 years. He calls Helena home and has lived here nearly all his life. He attended Montana State University and Carroll College receiving his BA in Civil Engineering. Ryan now specializes in transportation and hydraulic design and project management, but he has a broad background in many areas of civil engineering. In his free time, Ryan enjoys spending time outdoors with his two boys snow skiing, waterskiing, boating, hunting, backpacking and coaching soccer. He also enjoys competitive shooting and is a driving enthusiast. Stephanie Beckert is a Project Manager with the Solid Waste group. She has over 14 years of experience. 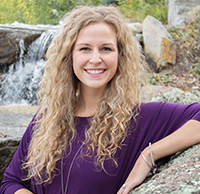 Stephanie is a Helena, Montana native and graduated from Carroll College with a bachelor degree in Civil Engineering. The majority of her project experience is in the solid waste industry. When not at work, Stephanie enjoys spending time with her husband and chasing their two kids around. She and her family love camping, hunting, boating, and playing in the mountains. Mike Keene is a Client Resources Engineer with over 30 years of experience. 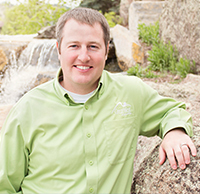 Mike is originally from the Black Hills of South Dakota, and then graduated from the University of Denver with a BS in Civil Engineering, followed by a MS degree in Civil Engineering with a Water Resources emphasis from Montana State University. For Great West, Mike focuses on business and relationship development in Idaho and Wyoming. 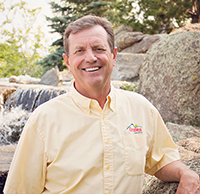 When not at work, Mike enjoys spending time with family and friends at their Montana ranch in the Beartooth Mountain foothills, and their cabin in Spearfish Canyon, South Dakota. He is an avid outdoor person who likes hiking, alpine and x-country skiing, road and mountain biking, and horseback riding. Mike is a SCORE Certified Business Mentor and provides volunteer time counseling small businesses in the Montana and Wyoming area. 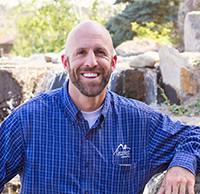 Matt is a registered professional civil engineer in Montana and California with over 14 years of diverse experience in construction, site development and municipal engineering. Matt graduated high school from Absarokee Montana and then completed a BS in General Engineer/ Civil Option from Montana Tech. 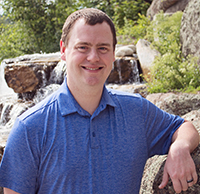 Matt is a project manager and engineer for Great West working on multiple water and wastewater projects of various types, sizes and clientele. 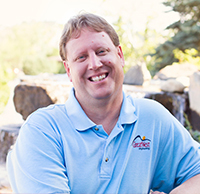 Matt is actively involved in professional committees and board positions including ASCE, AWWA and Saddle Mountain Estates Water Users Association. Matt and his wife, Lindy keep busy with two very active kids under the age of five. Matt is very much at home in Helena Montana being able to work, live and get out an play in its natural beauty. Jerry Grebenc is a community planner with 19 years of experience. 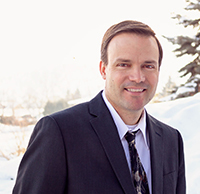 Calling Montana home for 25 years, Jerry received his bachelor’s degree from the University of Minnesota and his graduate degree from the University of Montana. He works with communities to help them make informed and effective decisions about their future. In his off hours, he is raising teenage daughters, fly fishing, out with his gun dog and spending several weeks a year chasing elk with his Wyoming peeps. Michelle Langdon is a professional civil engineer with over 13 years of experience. She has a bachelor’s degree from Portland State University and a master’s degree from Norwich University, both in Civil Engineering. 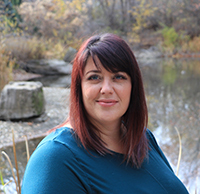 Michelle is a Project Manager and Engineer for Great West specializing in all aspects of Waste Management. Michelle is a MOLO instructor and passionate about teaching, bridging the planning/operations gap and providing realistic and unique solutions to waste management challenges. Michelle currently resides in Boise with her family and 2 goofy labs. She enjoys anything outdoors, spends her summers in the water and loves to challenge herself by participating in triathlons and mud runs. Susan Hayes is a professional engineer with over 13 years of experience. Susan graduated from North Dakota State University with a B.S. in Civil Engineering. 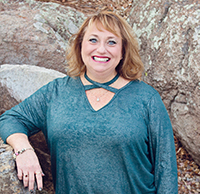 Susan has experience with water treatment, water distribution and storage, construction management, and materials testing through her work which has spanned Colorado, Nevada, California and Montana. She maintains her P.E. license in Montana, Nevada, and California. In her free time, Susan enjoys being outdoors with her hilarious dog, watching baseball, or reading a good book. 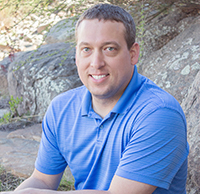 Brandon Duffey is a professional engineer with 11years of experience in site development and general civil engineering. 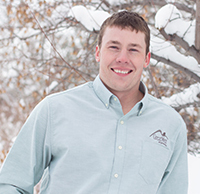 Originally from Conrad, MT, Brandon graduated from Montana State University with a BS in Civil Engineering. Since his addition to Great West’s Transportation Group in 2016, Brandon has been a project manager and provides support for stormwater, transportation, development, and construction projects. Outside of work, Brandon can be found spending time with his growing family, bow hunting, being out-fished by his wife, and attending Bobcat football games. 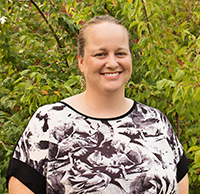 Crystal Bennett is a project engineer with over 15 years of municipal engineering experience. 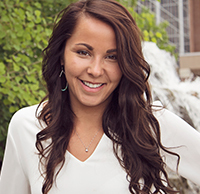 A Wyoming native, Crystal graduated from Casper College with an AS in Physics and later from Montana State Engineering with a BS in Civil Engineering. At Great West, Crystal works on a variety of water and wastewater projects at any stage of the project from planning and/or grant writing up through design and construction. When not at work, Crystal can be found spending time with her family and friends or volunteering at church. Not much down time is to be had with 3 young kids. But, when they do have a weekend free, it is not uncommon to find Crystal and her family traveling to a family cabin in Red Lodge or along the Wyoming roads to visit family spread throughout the state. 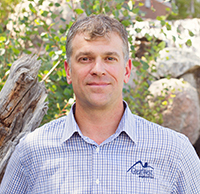 Craig Sauer is a hydrogeologist with 19 years of consulting experience from project sites located in Montana, Idaho, Washington, and Oregon. 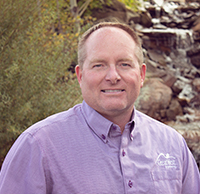 Craig is an Idaho native, and graduated from the University of Idaho earning degrees in Geology (BS, 1995) and Hydrogeology (MS, 1999). 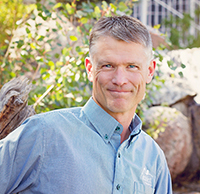 Craig’s primary role for Great West is to support Solid Waste planning, hydrogeologic characterization studies, environmental compliance monitoring, and reporting. Craig also supports other business units related to natural resources, environmental assessment studies, and subsurface characterization. 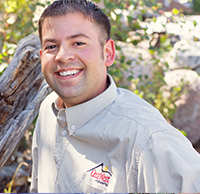 When not at work, Craig enjoys family activities, camping, hunting, fishing, and home improvement projects. Leo Kapp is a construction inspector with decades of inspection experience. 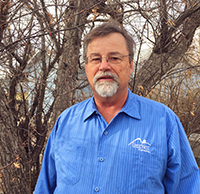 A Cut Bank native, Leo has 41 years of experience in municipal work and holds Montana DEQ certifications in water and wastewater. When not at work, Leo can be found chasing his next big fish and enjoying his grand children. Bailey Lehenbauer is a civil engineer with two years of experience. Originally from Billings, Bailey graduated from Montana State University with a BS in Civil Engineering. Bailey works in the Billings office and is a project engineer for the municipal group. Outside of work, Bailey can be seen traveling to various college football stadiums throughout the country with his wife, Macy. Bailey also likes to spend his time outside fishing, hiking and exploring the backwoods. Brent Pilon is a Project Engineer with eight years of experience. 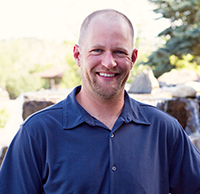 Brent is a Helena native and graduated with a Bachelor of Science in Civil Engineering from Montana State University in Bozeman. Brent performs various duties for Great West Engineering such as design, construction services, technical writing, and surveying. Brent’s favorite things to do in his free time include golfing, skiing, backpacking, and traveling. Grayson Gillin is a Transportation Engineer with 4 years of experience. He grew up in Issaquah, Washington, a suburb outside Seattle, and ventured to Bozeman to attend Montana State University. Grayson is involved in a variety of transportation related projects and is heavily involved in bridge inspection, bridge design, and bridge load rating. When not at work, Grayson enjoys spending time with his wife; cooking and eating new foods, especially BBQ; hiking; skiing; mountain biking; and generally enjoying the outdoors. He is also passionate about playing soccer and organizes the Great West Engineering sponsored adult league team that competes against other Helena-area adult teams. 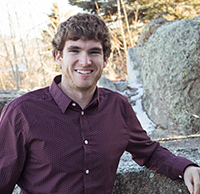 Justin Evertz is a transportation engineer with 2 years of experience. 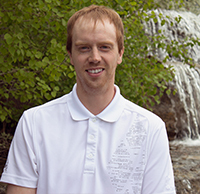 Growing up in Polson, MT, Justin graduated from Montana State University with a BS in Civil Engineering with a Bio-Resources option. 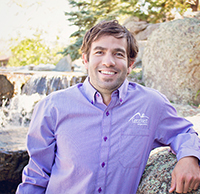 Justin provides transportation engineering, water resources, and surveying services for Great West. When not at work Justin can be found out among the rivers, lakes, and forests of the Northwest. Also an avid high school and college baseball player, Justin spends a fair amount of time around the baseball diamond. 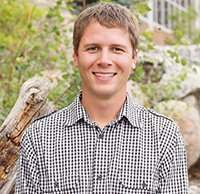 Travis is a Civil Engineer with nearly two years of engineering experience with Great West. Travis grew up in Butte, and graduated with a Bachelor’s degree in engineering from Montana Tech. Travis is a member of the Solid Waste group at Great West, but has helped other groups throughout the company. When not working, Travis is usually spending time with family, drag racing, or working on race cars. Allie Crowder is the company’s accountant. After growing up in Culbertson, Montana, she ventured west to attend college. 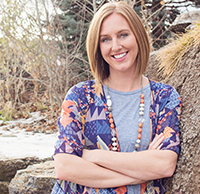 She graduated from Montana State University Billings with a BSBA in Accounting and a Minor in Finance. Continuing her jaunt west, Allie joined the Great West team in Helena, where she handles the internal accounting duties for all the Great West Engineering offices. When not at work, Allie can be found in her kitchen cooking and baking. You could also find her enjoying some sunshine at the lake, and exploring the beautiful outdoors in Montana with her fiancé. Cheri Anderson is a Project Coordinator with over 16 years of experience. She ensures the execution and production of many project related tasks and assists with marketing tasks throughout the company. Cheri enjoys traveling to many beach destinations with her family and is an avid photographer. Gina Barry is a staff engineer with over 5 years of experience. Gina graduated from Montana Tech-The University of Montana with a BS in Environmental Engineering. 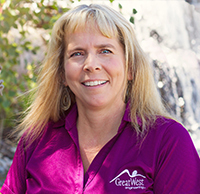 Gina’s primary responsibilities at Great West include the design and inspection of water distribution systems and wastewater treatment and collection systems. When not at work, Gina can be found working out or enjoying the outdoors. 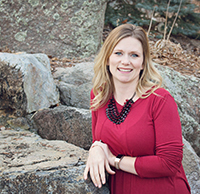 Jill is an administrative professional with over a decade of experience. Originally from Miles City, Jill spent most of her youth in Great Falls. Jill is the proud mother of 2 adult children who are her pride and joy. In her free time, Jill enjoys all things that Montana has to offer. She can be found camping, riding ATVs, or trying to lower her score on the golf course. Lisa Walton is a Senior CADD Technician with over 25 years of experience. Lisa is originally from Wyoming, graduating from the University of Wyoming with a BS in Social Sciences/History and Northwest College with an AS in Computer Aided Drafting and Design. 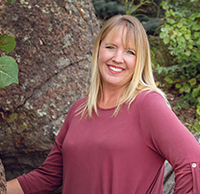 Lisa has been with GWE in the Billings Office since 2004 and performs several drafting and design tasks for numerous civil engineering projects. When not at work, Lisa enjoys spending time with friends and family and working on house projects. 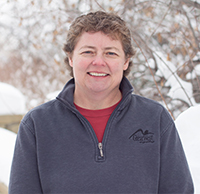 Lisa also enjoys spending time in the mountains, snowshoeing, floating the river, golfing, woodworking and generally just relaxing with her spouse, Sandy; and their three dogs: Bob, Zoey and Burley. Dan Robles is a marketing professional with over 17 years of experience. A Missoula native, Dan graduated from the University of Montana with a BS in Business Administration. Dan wears many hats at Great West where he provides marketing support services throughout the Company's multiple offices. When not at work, Dan can be found spending time with his wife and two young children. Dan is also an avid outdoor person who loves to camp, 4-season backpack, hike, and explore on his adventure motorcycle. Marcus Erlenbush is a Civil Engineer with 5 years of experience. A Billings native, Marcus graduated from the University of Gonzaga with a degree in Civil Engineering. At Great West, Marcus is a project engineering in the transportation where he provides support services for a variety of transportation oriented project. When not at work, Marcus enjoys spending time with family camping and hunting across Montana. Mike Studiner is a Civil Engineer with 1 year of experience. Originally from Ashland, Montana, Mike graduated from Montana Tech with a MS in General Engineering-Civil Option. 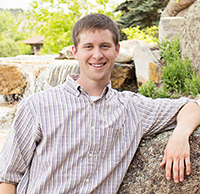 Mike works out of the Billings office and is a project engineer for the municipal group. Outside of work, Mike likes to spend time with family and friends, especially in the great outdoors. 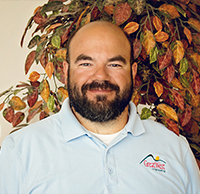 Mike is an avid hunter and fisherman, and enjoys working with his young bird dog. In his free time, you can usually find Mike with a fly rod, bow, or shotgun in his hands. Quinn McCauley is an Information Technology professional recently graduating in 2018. Growing up in Helena, he attended Helena College to get his AAS in Computer Technology – Network Administration. He provides IT support to all the Great West branches. When not working he enjoys painting, reading, as well as watching and playing soccer, boardgames, and videogames. Fishing, Hiking, and just being outdoors brings him great enjoyment. 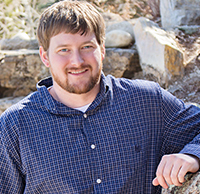 Logan Williams is a Project Engineer who recently graduated from Montana State University. A Helena native, he received a BS in Civil Engineering. Logan works on a variety of transportation related projects providing support services. When not at work, Logan enjoys golfing, biking, hunting, and playing on the water. A sports enthusiast, he can also be found playing and following a wide variety of sports. 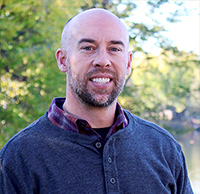 Josh is a licensed professional engineer with 18 years of experience in storm water, site development, municipal wastewater and water, transportation and aviation projects. Josh was originally from Ohio and graduated from Tri-State University in Angola, Indiana with a BS degree in Civil Engineering. He has lived in Great Falls for the past 19 years and is a project manager for Great West. Outside of work, Josh enjoys biking, hiking, time on Montana’s rivers and lakes and family trips with his wife and two daughters. Mitch is a Professional Engineer with a variety of business and engineering capabilities in highway, airport, municipal and site development projects. He has over 30 years of experience with an array of aviation, municipal, and transportation-oriented projects. 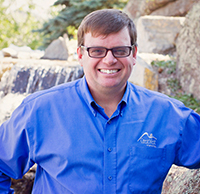 Mitch serves as business development, concept design, and support for the Great Falls office. When not at work he can be found mountain climbing, biking, rafting, skiing or chasing down his next adventure. Mary is a structural engineer with over 30 years of experience. 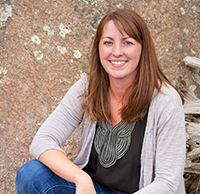 She is a third generation Great Falls native who received her Civil Engineering degree from Montana State University. Throughout her 30 year career, she has worked on a variety of projects ranging from buildings, bridges, and industrial sites. When not at work Mary can be found spending as much time as possible outdoors with her family and friends. 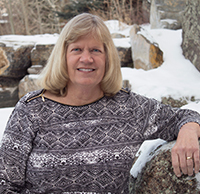 Mary is an avid hiker, climber, skier, biker, rafter, and also loves to travel. She is also an accomplished cellist who performs with the Great Falls Symphony. Maria is a seasoned Grant Writer/Administrator who has written and administered hundreds of grants. She holds degrees in Business Management (BA) and Organizational Management (MA), and has over a decade of grant administration experience. Additionally, Maria has over 15 years of business and office management experience having worked in the real estate, non-profit, and information technology industries. In her free time, Maria enjoys spending time with family and being outside, hiking, biking, skiing or traveling the west. Kevin O’Connor is a structural engineer with 4 years of experience. 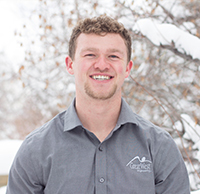 Originally from Great Falls, he graduated from Montana State University with a BS and MS in Civil Engineering with a structural engineering emphasis. At Great West, Kevin is a project engineer who provides project services and consultation for vertical structures. He also provides support for other engineering practice areas, particularly bridge design and bridge load rating. When Kevin is not at work, he can be found recreating outdoors with typical Montana activities (hunting, fishing, camping, skiing, etc..). He also enjoys watching sports, and spending time with his friends and family. 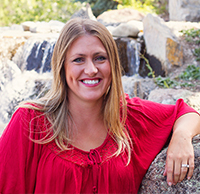 Vanessa Hoene is a Water Resources Engineer with over 9 years of experience. 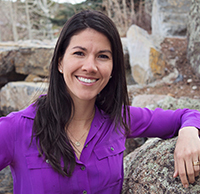 Vanessa graduated with a B.S in Civil Engineering from the University of Texas in Austin, where she lived most of her life, before moving to Wyoming with her husband and two dogs to try out a life in the mountains. As part of the natural resources group at Great West, Vanessa will work on floodplain modeling projects, surface water modeling, and hazard mitigation work. 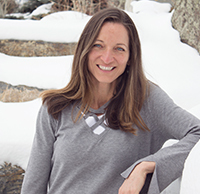 Outside of the office, Vanessa loves being outdoors whenever possible, enjoying the beautiful landscape with her husband and two dogs and also loves doing yoga, and seeking out live music. Austin Egan is a Project Engineer with two years of experience. A Billings Native, Austin graduated from Carroll College with a B.S. in Civil Engineering with Environmental Emphasis. Austin serves as a project inspector for Great West, where he provides support for both water and wastewater projects. When not at work, Austin can be found on the golf course with his friends. 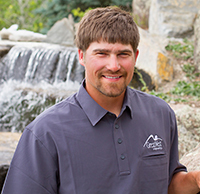 Austin also enjoys the outdoor activities of fly fishing, hunting, hiking, and camping throughout Montana. Katurah is an Engineer in Training (EIT) who recently graduated from Montana State University. Born and raised in Bozeman, she holds a BS in Civil Engineering. 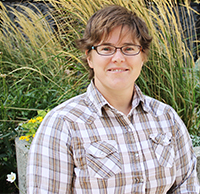 As part of Great West’s transportation group, she assists with a variety of project tasks focused on open channels, stream restoration, and culvert design. 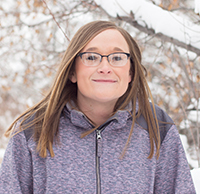 When not at work, Katurah enjoys spending time with family, exploring new places with her boyfriend, hiking, fishing, dirt biking, snowmobiling, and snowboarding. 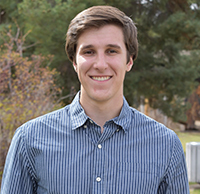 Duncan is an Engineer in Training (EIT) who recently graduated from Boise State University with a BS in Civil Engineering and a minor in Applied Mathematics. As part of Great West’s solid waste group, he assists with a variety of project tasks including technical writing and design. When not at work, Duncan can be found outside, playing sand volleyball with friends, hiking, or traveling. Drew is a Project Engineer with 2 years of experience. A Florida native, Drew graduated from Florida Gulf Coast University with a B.S. in Civil and Environmental Engineering. Drew works in Great West’s municipal group in the Boise, Idaho office. Outside of work, Drew enjoys spending his time road/mountain biking, hiking, camping, working on DIY projects, and exploring new places and things to do around the northwest.